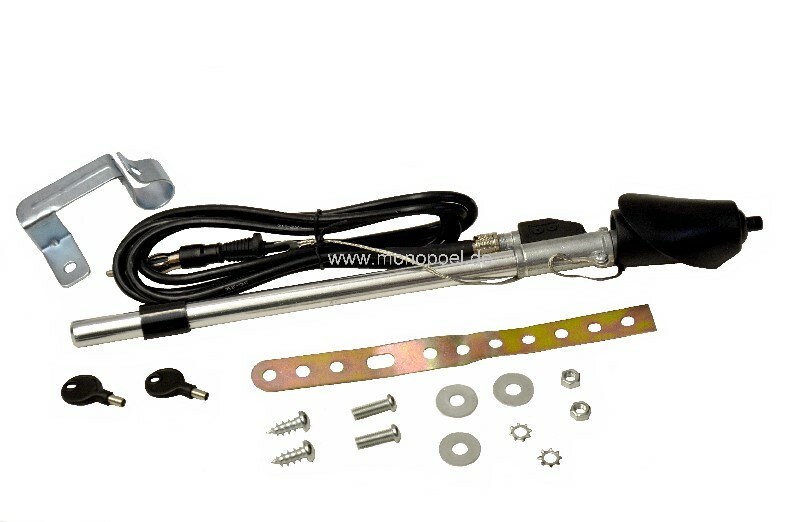 mechanical telescopic antenna, length 67 cm, for all W124 station wagon. This antenna is supplied complete,i.e. incl. mounting material, antenna cable, ground strap, rubber grommet through the antenna hole and two keys.